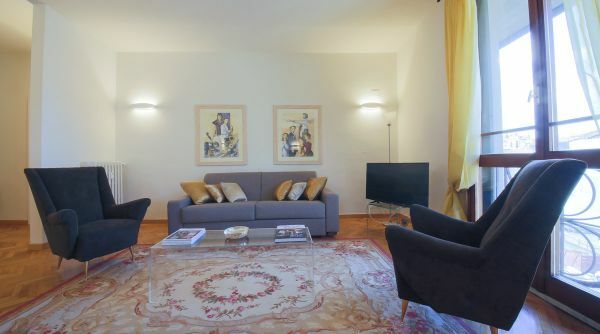 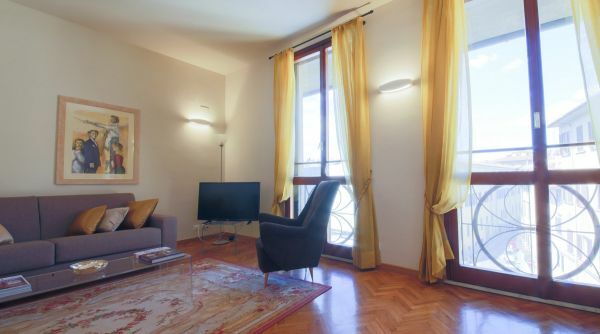 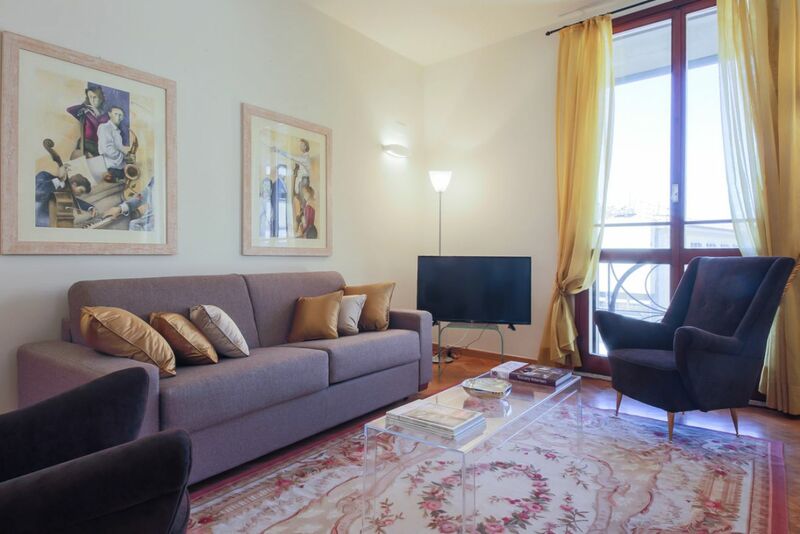 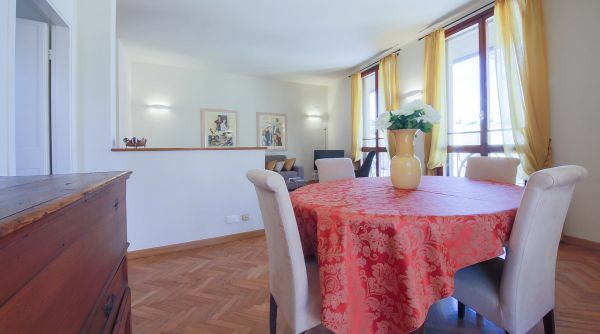 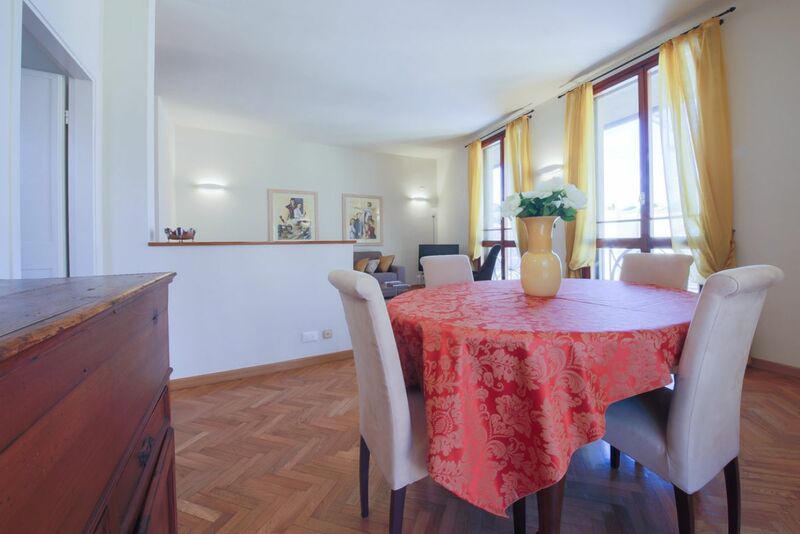 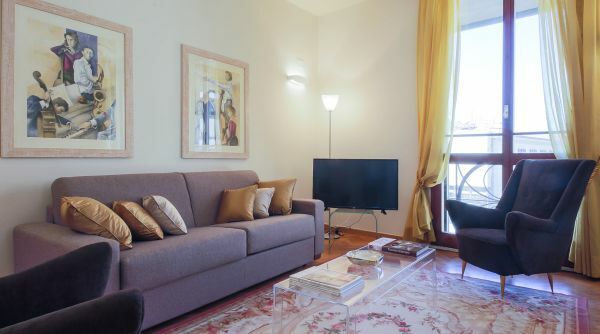 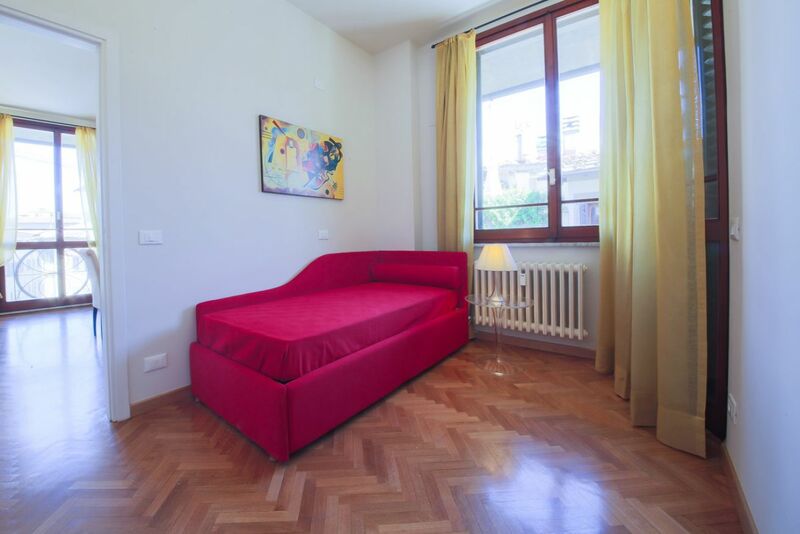 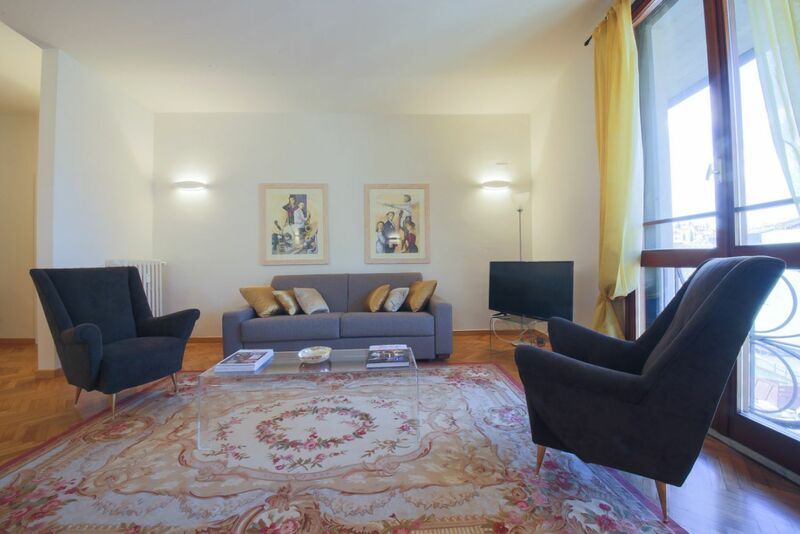 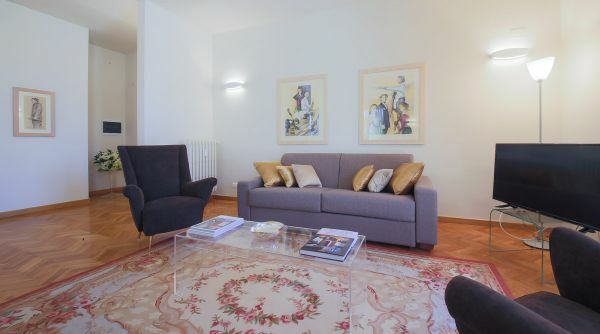 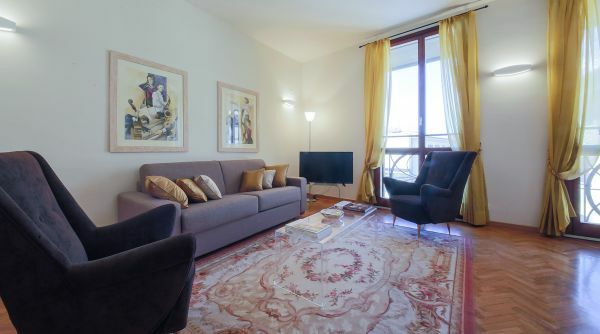 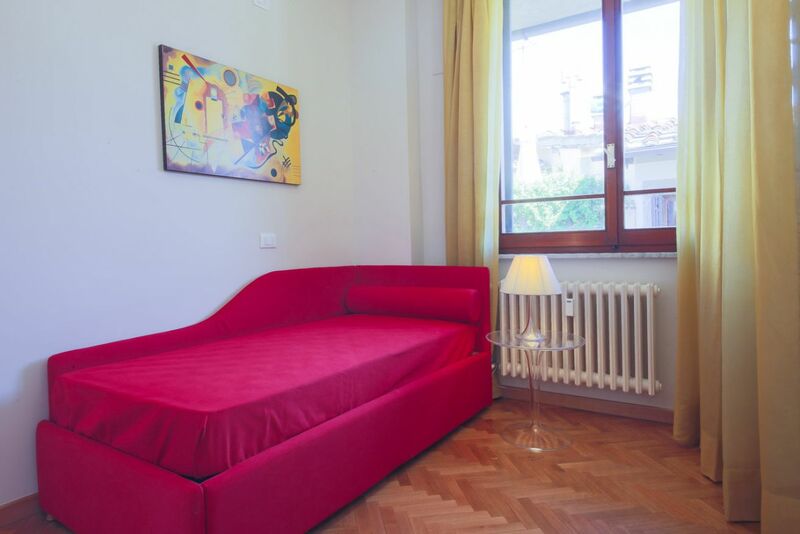 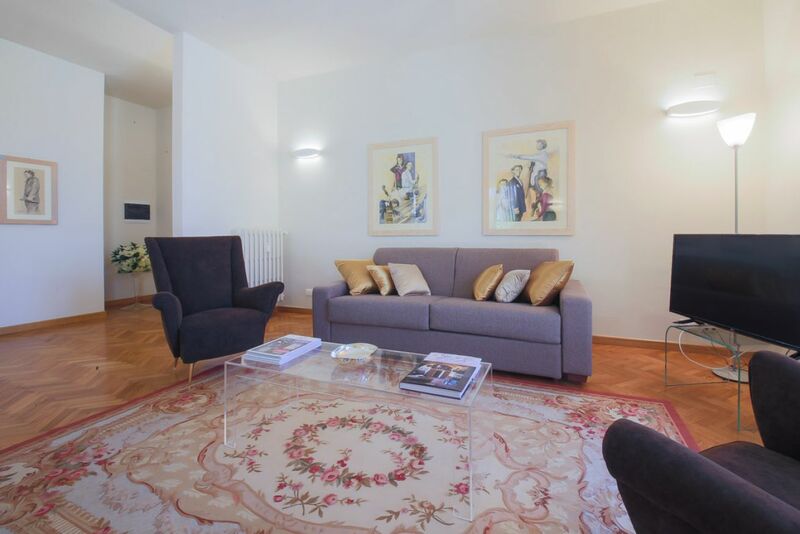 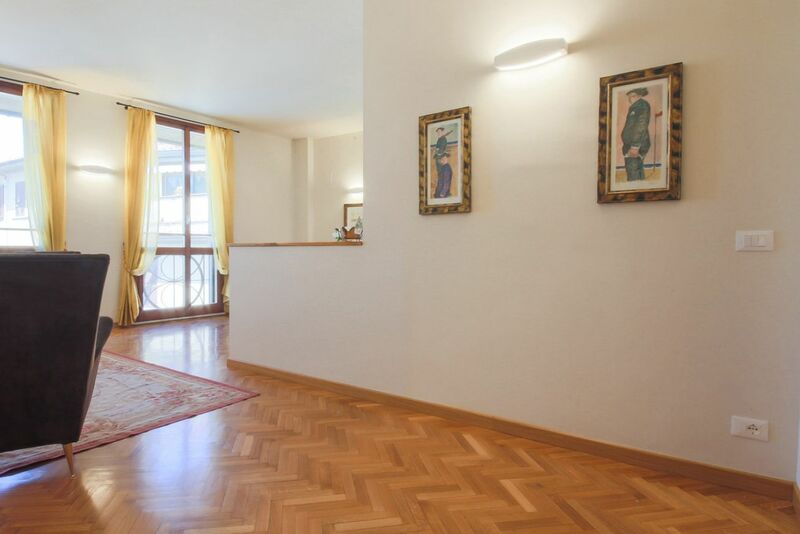 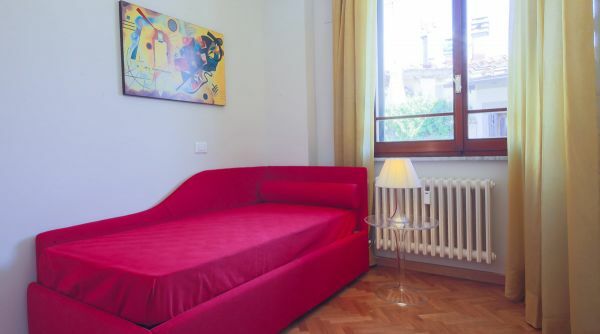 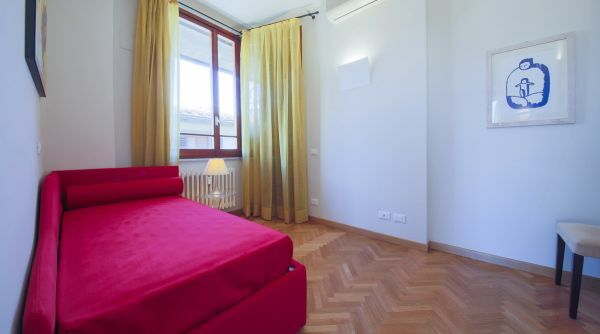 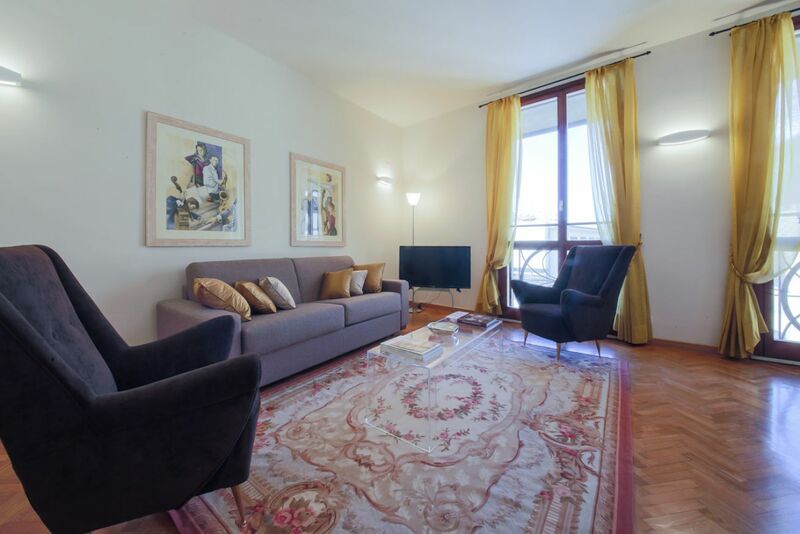 This stylish and sophisticated 2-bedroom, 2-bathroom apartment is in a wonderful location, right in the center of Florence. 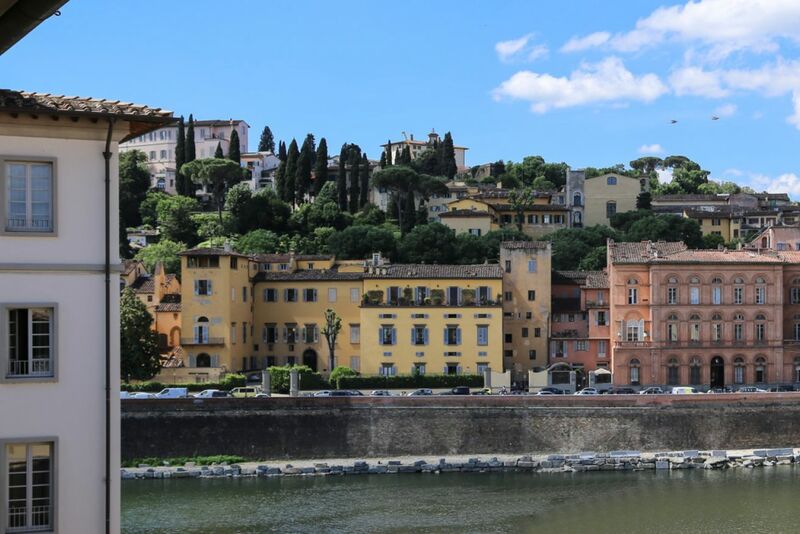 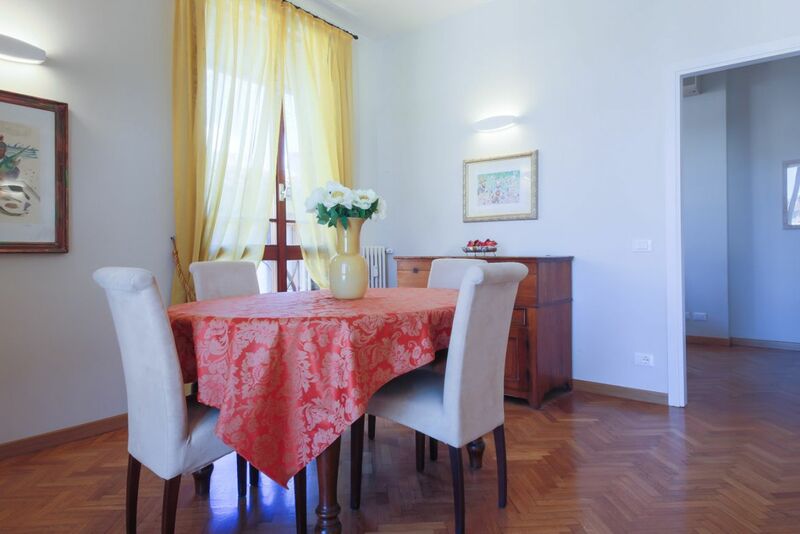 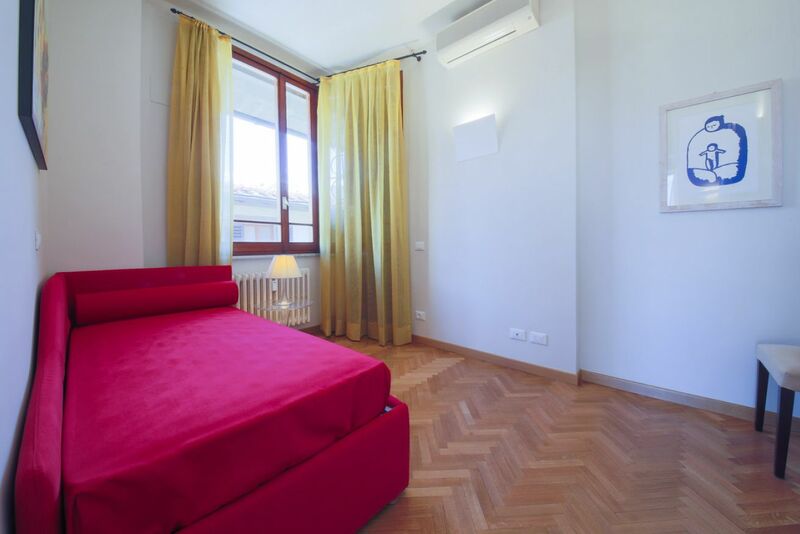 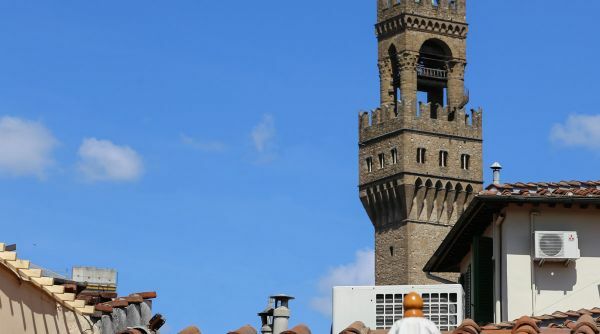 It is very close to the river, Piazza Signoria and Santa Croce, and close to all the main tourist spots. 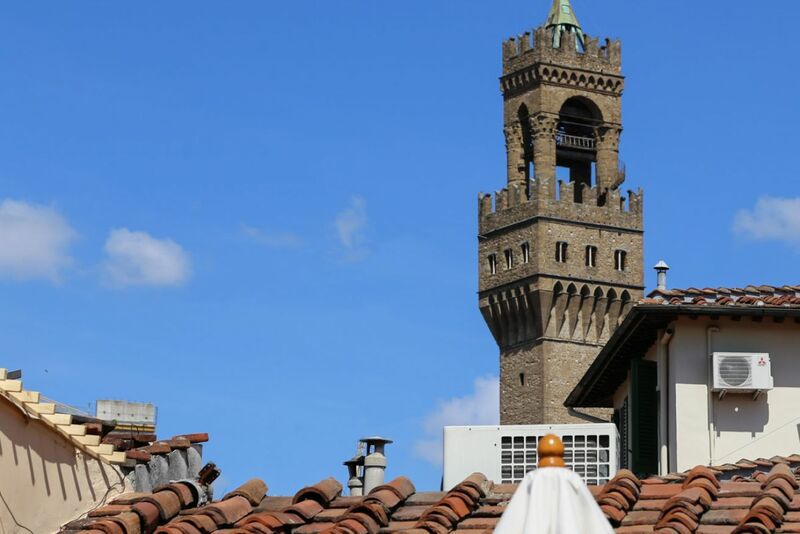 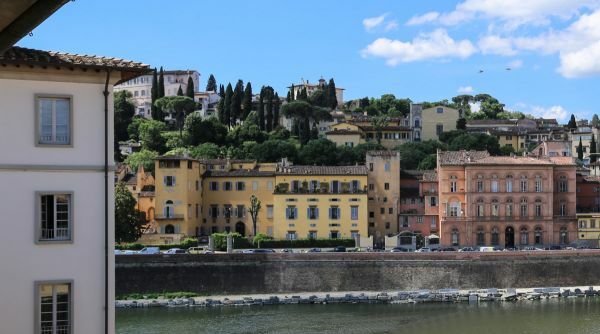 Here you are in a lively, colorful neighborhood full of aperitivo places, bars and typical restaurants. 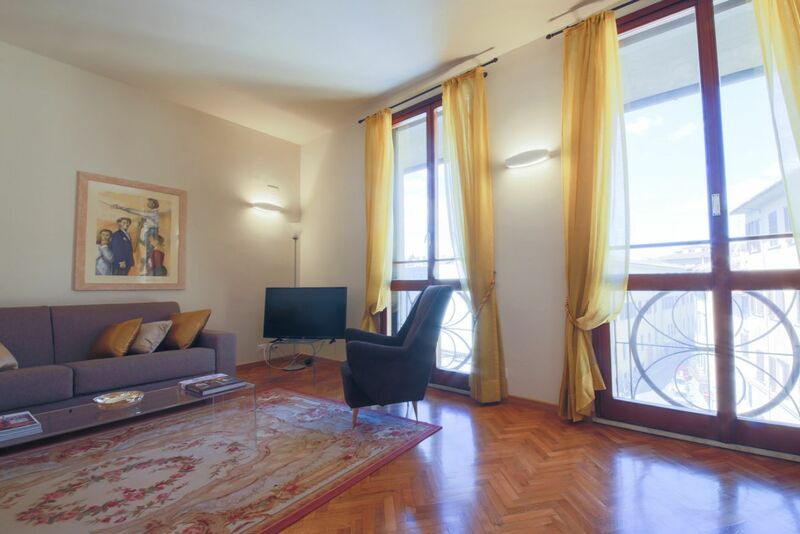 The apartment is located on a 4th floor with elevator in a very nice building. 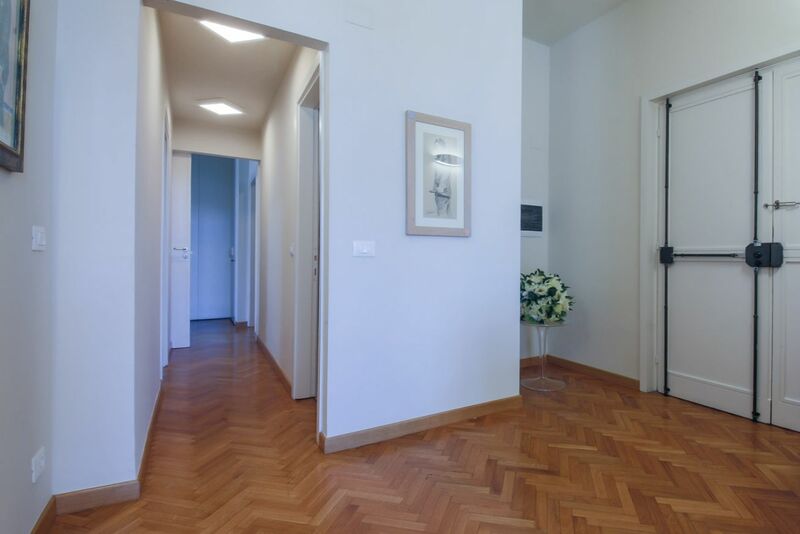 As you walk into the apartment, you find yourself in the spacious and bright living room. 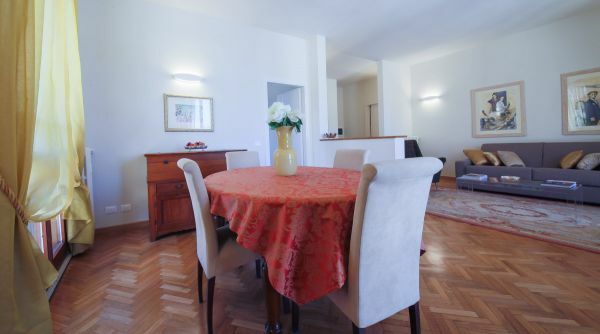 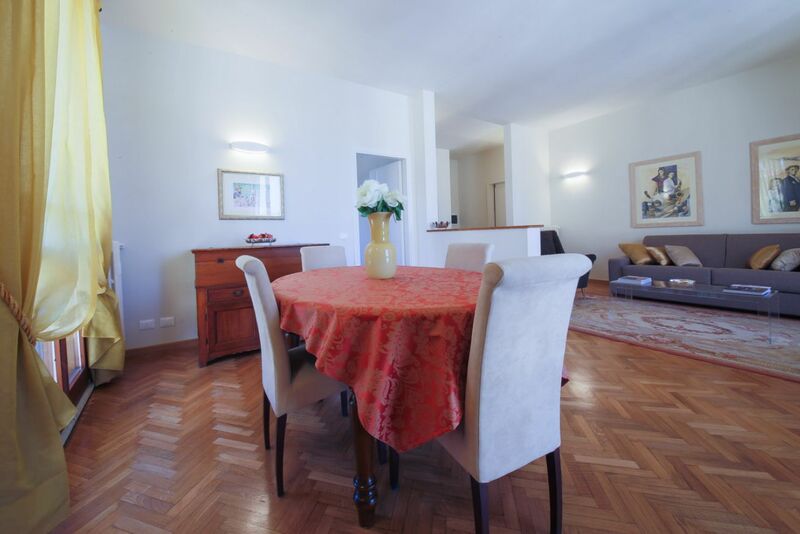 It is designed in a classy, sophisticated manner with high ceilings and parquet floors. 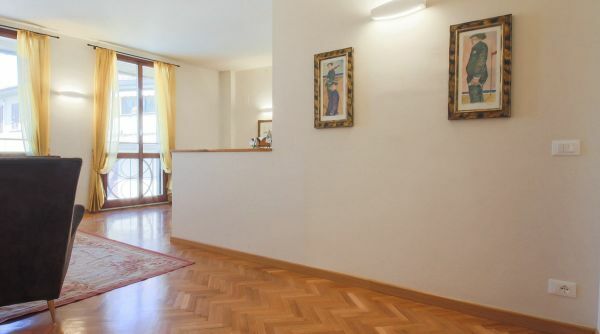 The space is filled with natural light due to the many large windows. 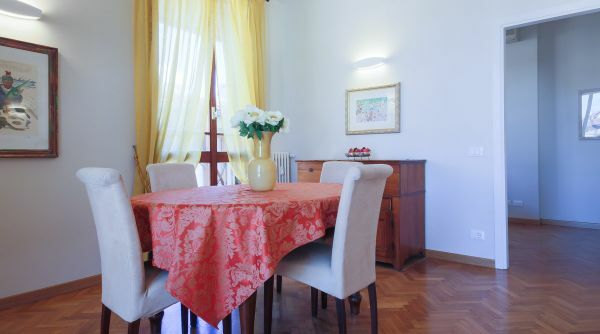 Here you will find a double sofa bed, armchairs and a TV as well as dining room space with a table for four people. 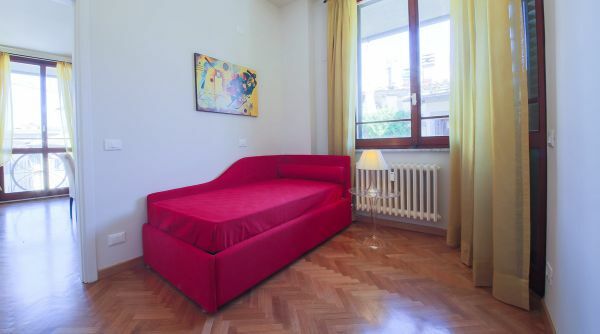 The smaller bedroom is located right next to the living and has a trundle bed that can become two singles or a double. 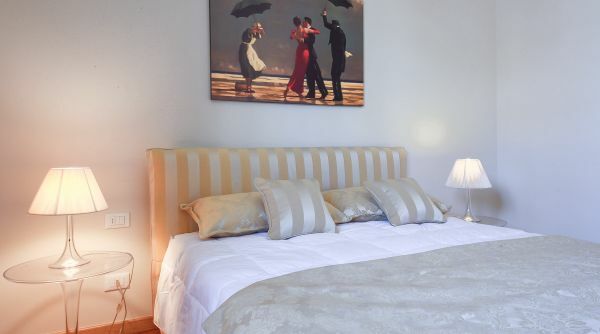 The master bedroom is very spacious and has a comfortable double bed and lots of storage space. 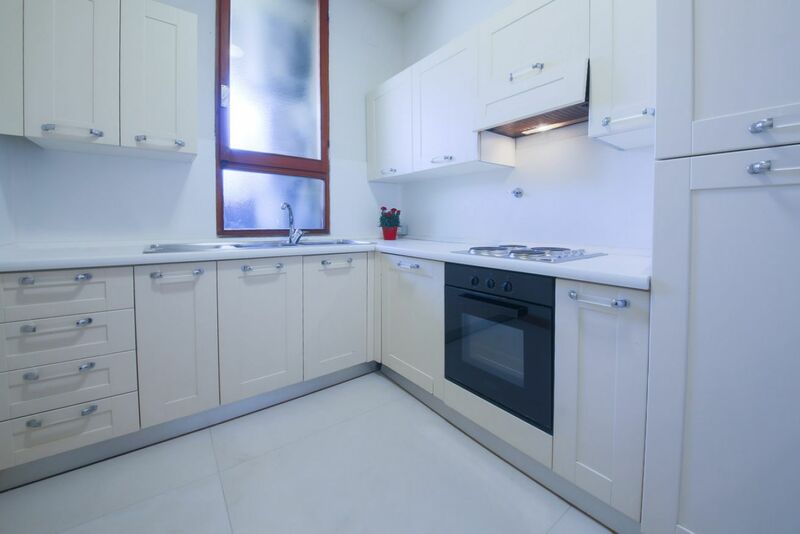 The kitchen is located in the corridor that takes you from the living room to the master bedroom, and is a separate space. 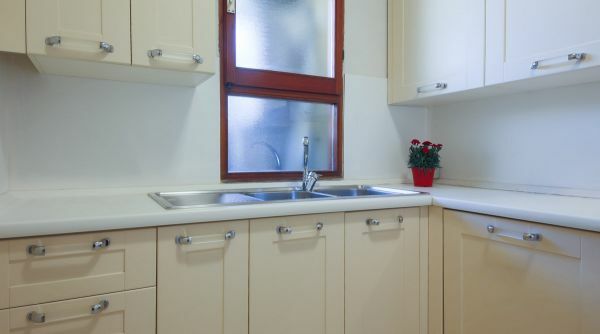 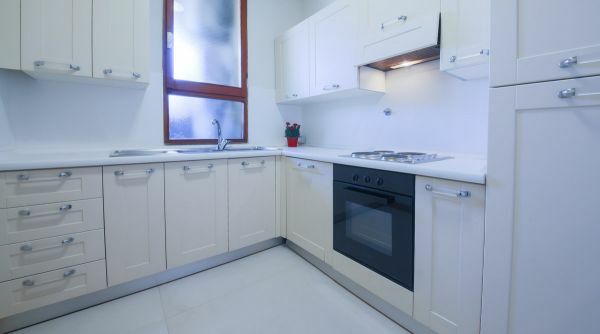 It is fully equipped, with an oven, microwave and stove, as well as a large fridge. 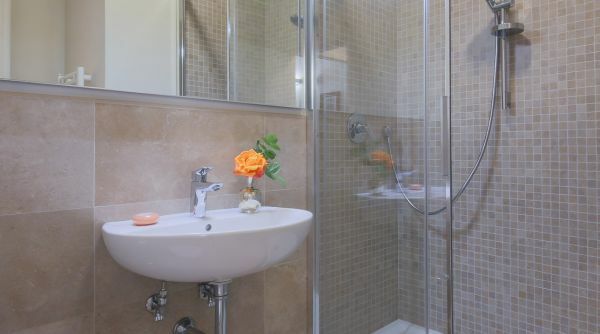 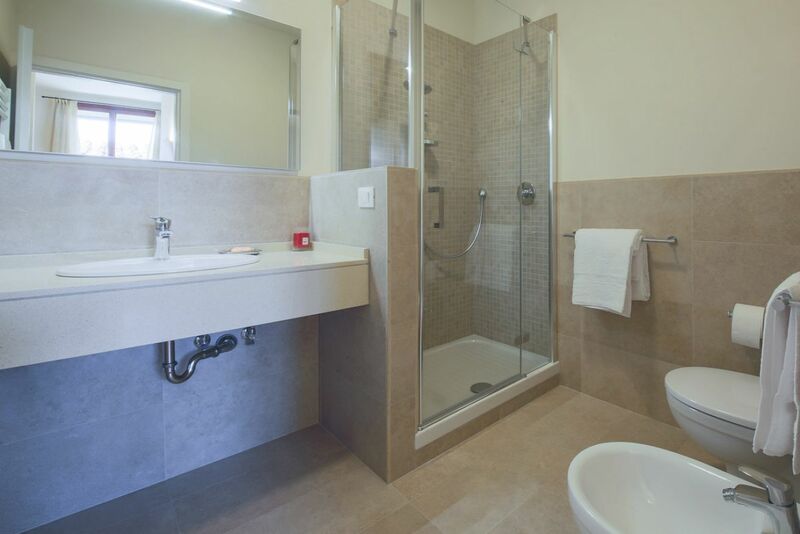 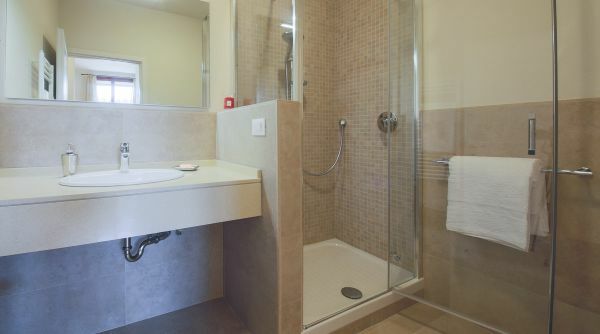 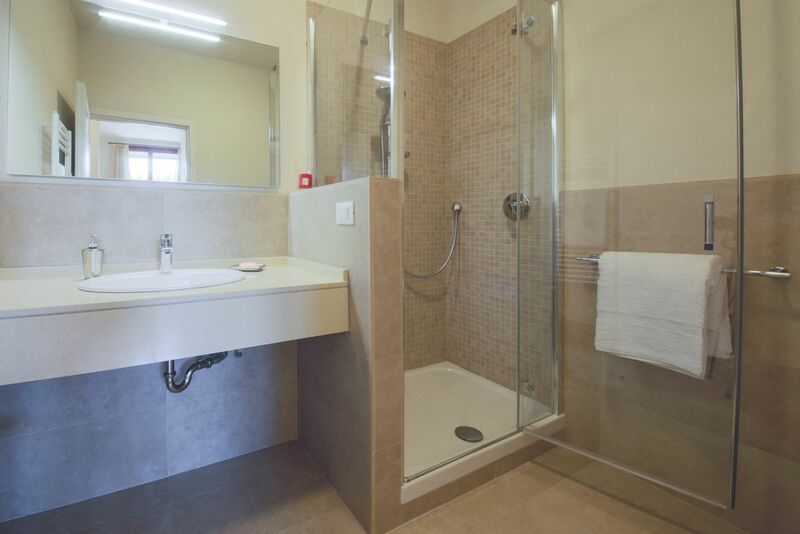 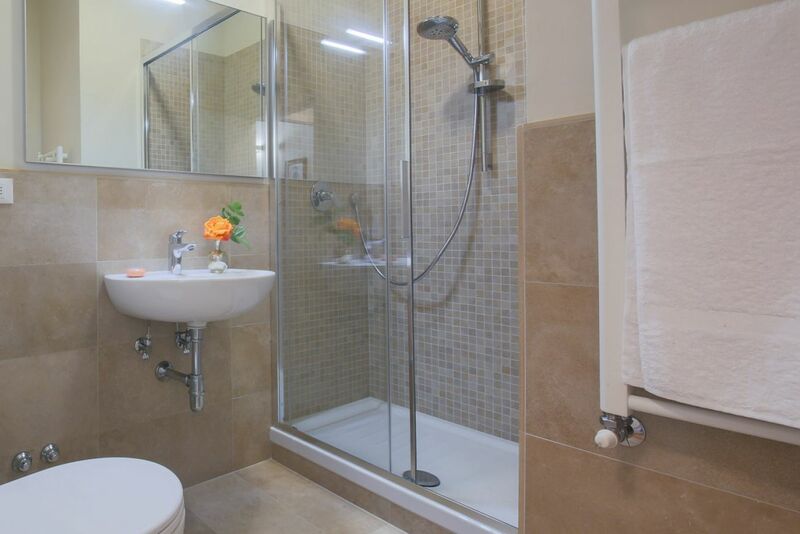 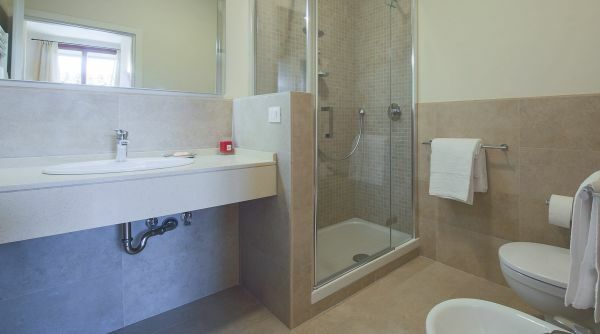 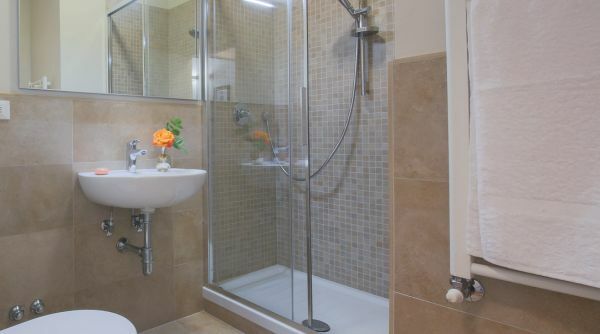 There are two almost equally sized bathrooms – both renovated, very elegant, with a fresh clean look and glass showers. 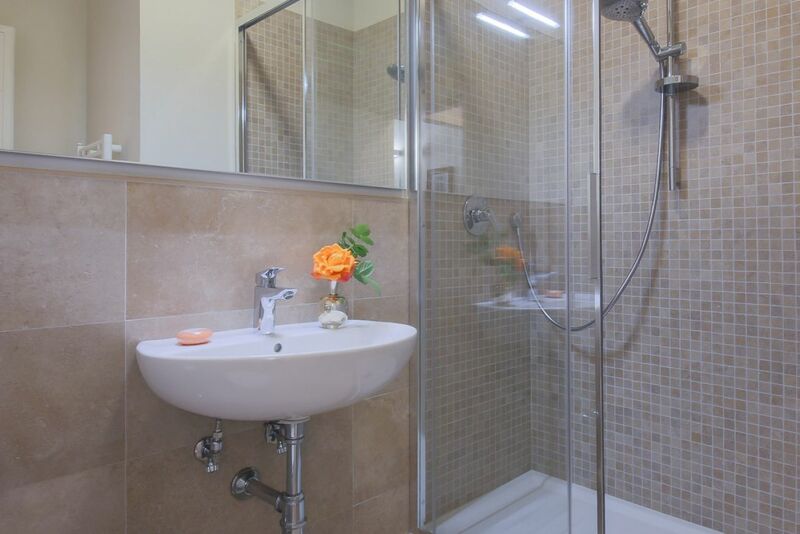 The apartment is comfortable and designed with care and attention to detail. 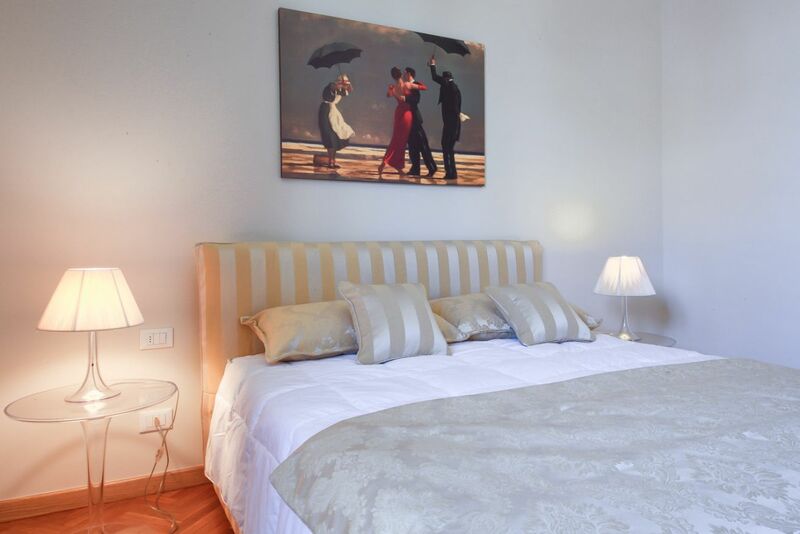 It is ideal for a family or group of friends, for both short and long term stays! 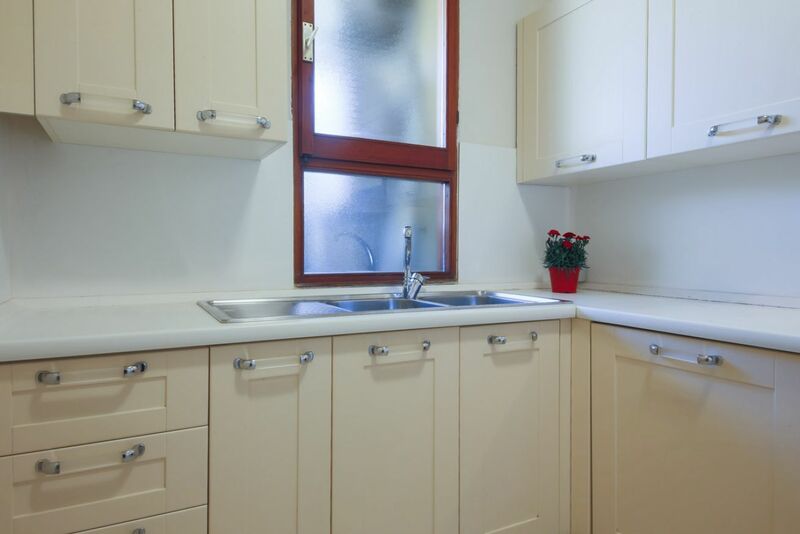 Please note that this apartment is not suitable for students, for further information please contact our reservation department. 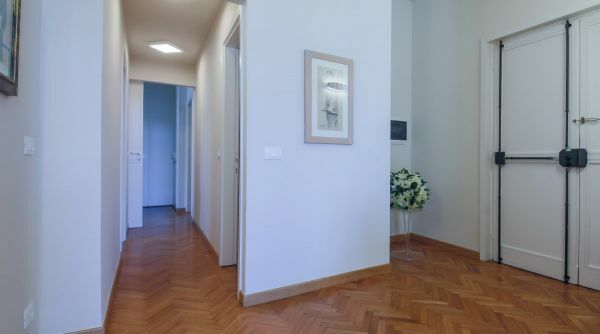 • Spacious and bright, with all comforts of a real home, and an elevator!